Go beyond compliance to uncover the illicit movement of funds through your institution. Money laundering is fundamental to the survival of criminal organizations and the illicit activities they perpetrate. Organized criminals are making increasingly complex attempts to avoid detection, meaning AML professionals must be fast moving and innovative to detect these schemes. Verafin analyzes a wide variety of factors to help you uncover criminal activity, including monitoring transactions across multiple transaction channels, a customer’s profile and historical behavior, and scenarios that indicate possible terrorist financing or human trafficking activity. Verafin analyzes a customer’s deposit and withdrawal activity across channels to find indicators of attempts to launder illicit funds. Your customers’ transactions are monitored across an extended period for evidence they may be structuring their deposits to avoid reporting thresholds. You are alerted to potentially suspicious activity. AML alerts in Verafin go beyond transfer in – transfer out analysis. Advanced analytics and evidence-supported alerts help you uncover incredibly dangerous criminal activity — from funnel accounts to terrorist financing and human trafficking — to make a positive impact on society. Verafin generates an alert when advanced analysis uncovers a legitimate threat of suspicious activity, not every time a simplistic rule is broken. This allows you to focus on investigating risky activity instead of writing rules and wasting time reviewing false alerts. Verafin’s 314(b) information sharing functionality gives you the ability to collaborate with investigators at other 314(b)-registered institutions to access the information about a customer’s activity that would not be available to you otherwise. Generate an auto-populated SAR directly from a case. Complete your Narrative with the help of the investigative notes and findings you have saved in the case and e-file directly from Verafin to FinCEN. 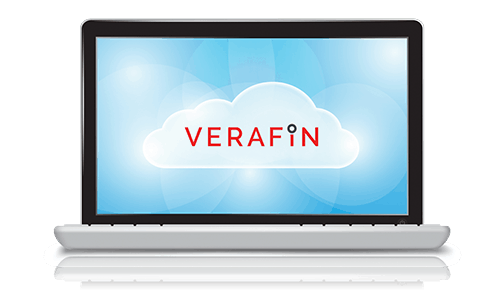 Interested in learning more about Verafin's Money Laundering Detection Solution?